IBM and Apple who are two Tech giants made an huge announcement. After the Tuesday's market close, these two giants announced an business enterprise partnership. It is really considered to be an milestone for both IBM and Apple. IBM CEO Virginia Rometty and Apple CEO Tim Cook in the joint statement mentioned “redefine the way work will get done, address key industry mobility challenges and spark true mobile-led business change”. 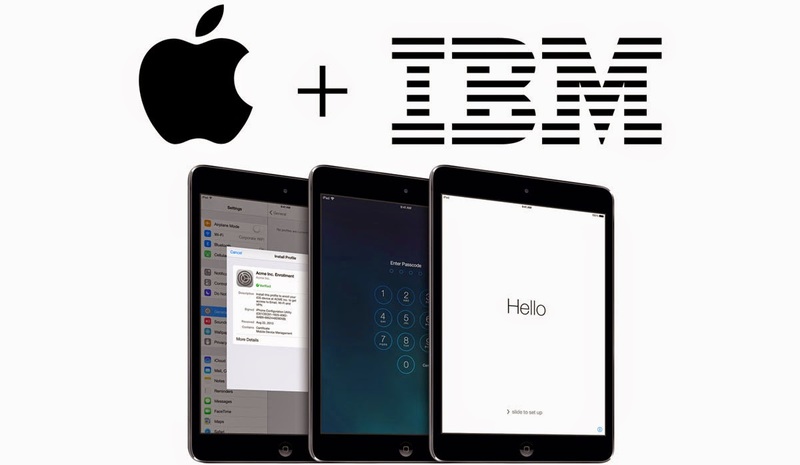 IBM and Apple joined together for mobile business market. Virginia Rometty and Tim Cook said in CNBC that, the companies are going to work for more than 100 business software programs for Apples iOS. IBM employees is going to provide their service to Apple. An unique cloud services is going to be created for iOS and IBM is going to resell iPhones and iPads for its corporate customers. IBM is about to provide device management tools, security and analytics solutions for iOS with a new cloud and called as IBM MobileFirst for iOS. Around 100,000 employees of IBM are going to provide their service for Apple to give solutions for all Enterprise iOS fears. Apple and IBM are developing apps and going to serve industries like retail, telecommunication, travel, healthcare and insurance industries. This agreement is fixed from this fall through 2015. According to Tim Cook and Virginia Rometty Apple and IBM are like puzzles which fit each other perfectly. Looking over previous history, both the companies were great rivals. During 1984, 30 years ago, IBM had a great shot by Apple in Personal Computer which is considered to be most memorable rival moments held between IBM and Apple. In 1984, the introduction of Macintosh computer by Apple was compared to IBM's totalitarian Big Brother computer. It is said that, this moment was a great shot for IBM which made IBM to drop PC business and focus on Software and services. Now Apple is going to take IBM services for iOS. 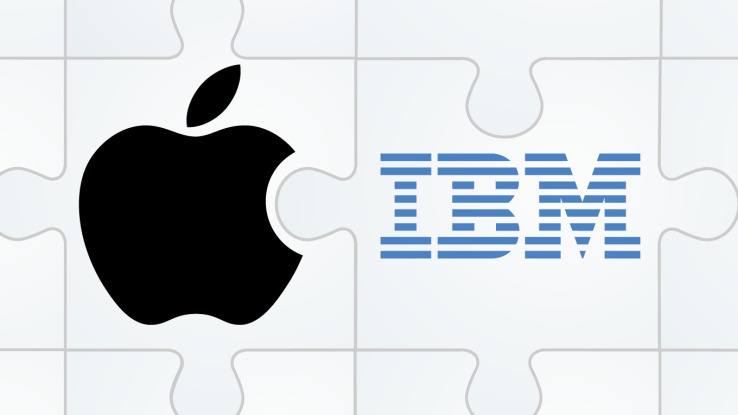 IBM and Apple had already made partnerships but those deals had not last for a long. This partnership is expected to create a benchmark in the mobile industry. It is also expected that this partnership may affect Microsoft and Google service in mobile industry. As Google and Android are already in good partnership, we are expected to have great moments when the new partnership hits the market coming fall.